Can you be socially anxious AND also be able to date? If you struggle with social anxiety, you might believe that the answer to this question is NO….how can you have social anxiety and be able to go out on dates? Well, good news…. there ARE ways that people with social anxiety can make dating work! Anyone experiencing social anxiety knows that it can be an extremely life hindering battle. The persistent nervousness and accompanying negative thoughts can be crippling and sometimes it’s difficult to leave home unless it’s absolutely necessary. However, we were born to live in community, to love and be loved. 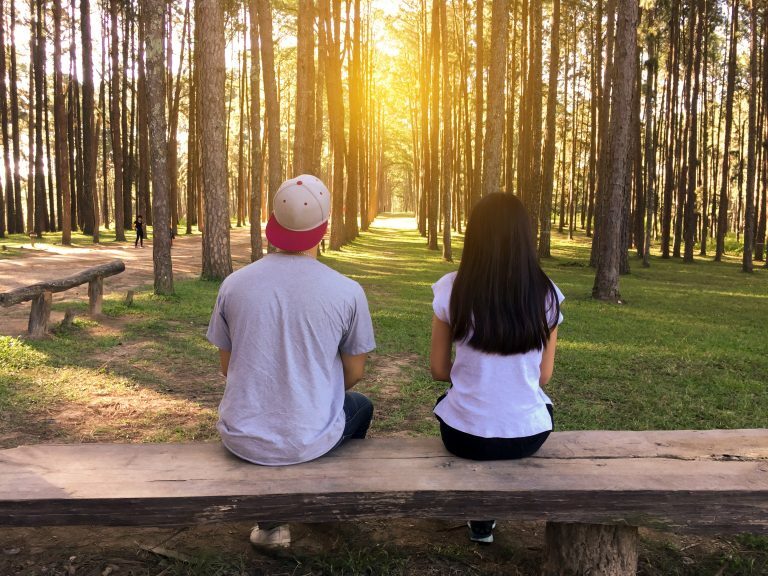 Social anxiety can make it difficult to initiate romantic relationships, but that does not mean we don’t want to have physical and emotional intimacy with someone special. Having social anxiety does not mean that you have to live in isolation or that you won’t be able to find that special someone. You just need a different approach. A hallmark feature of social anxiety is the fear of being judged. People with social anxiety are often their own worst critics. Usually, the only person judging you is you. Minimizing self-judgement can be done by frequent positive self-talk. What is it about your personality that a romantic interest would find attractive? What physical qualities do you have that you like about yourself? Try to name a few. Frequent acknowledgement of these attributes can help build your confidence. Consider the social settings where you might meet someone for a date. Mentally place yourself in that scene. Next, think of a few lines that you can easily memorize and could use during your date. Having a few phrases memorized can help to ease you into the flow of conversation. By using this technique, the pressure of saying the “right” thing can be reduced, which can reduce your overall anxiety. It’s ok to be nervous! Remember that your romantic interest is also human, and could also be feeling nervous during a date. Dating is not easy for anyone and first dates can be especially difficult for everyone involved. Admitting that you are nervous is ok and most likely not something that your date would perceive as negative. For those with social anxiety, it is common to want to run away from conversations after you think you made a mistake or said the “wrong thing.” Learn to accept those embarrassing moments. Maybe you can turn them into a joke. When dating, one thing that people look for in a potential partner is a sense of humor. Whatever you do, make sure that you own the awkward moment and embrace it! When you are looking to date, you might want to avoid social settings that are large. People with social anxiety typically find partners at small venues and not around large crowds. Small groups tend to ease anxiety. You can also try meeting your “hot date” through a friend. Let your friends know that you are looking to date and ask them if they have any acquaintances they think would be a good fit. Meeting someone through a trusted individual tends to ease pressure and you might find a good match! If you are struggling with social anxiety, the best method to gain better control of your life is through therapy. Consider reaching out to a therapist or joining a support group. I hold social anxiety groups at my Sherman Oaks office. Contact me at (818) 426-2495 for more information on overcoming social anxiety! Disclaimer: The recommendations given in this article are not a replacement for therapy. Please consider seeking help from a mental health professional if you are experiencing mental or emotional distress. If you have a medical or psychological emergency, please call 911 or go to the nearest emergency room. Thank you. Social Anxiety Disorder. (n.d.) In Anxiety and Depression Association of America. Retrieved from adaa.org/understanding-anxiety/social-anxiety-disorder.